By default, footers contain three links (Accessibility, Non-Discrimination and Title IX). These are designed to allow you to point to central pages that host required information. They are editable by webmasters. 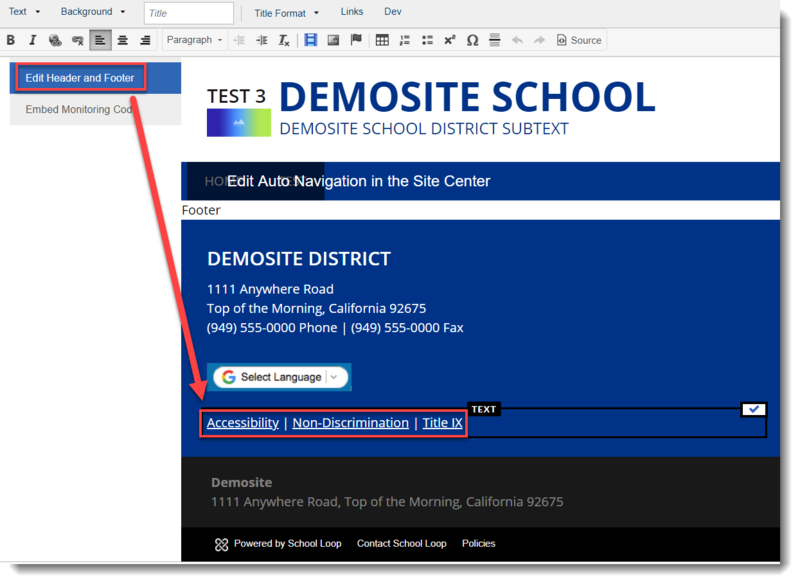 You can own those links at the district level, and prevent editing, by having us make them a District Module or having us move them into the Footer Wrapper. Please create a support ticket for assistance.